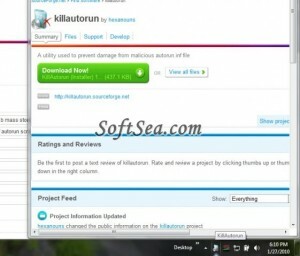 Here you can download KillAutorun with version 1.0 Alpha Build 9. 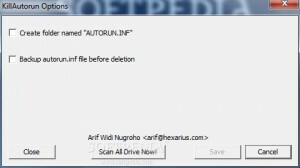 This software was developed by Arif Widi Nugroho. Distribute by license BSD License and price $0.